NIA CHARLESTOWN NEVIS (May 23, 2018) —The Nevis Island Administration’s (NIA) Department of Statistics is seeking the public’s support for the 2018 Country Poverty Assessment (CPA) for St. Kitts and Nevis which commenced on May 19thand concludes on December 19, 2018. Mrs. DorrielTross-Phillip, Director of the Statistics Department on Nevis says the exercise has one component which pertains to households for which open and frank participation is vital. The Survey of Living Conditions (SLC) and Household Budgetary Survey (HBD) will be carried out at 350 homes randomly selected across Nevis. “We just want to encourage those households that are chosen. It is what you call random sampling and that means that the whole of Nevis would not be visited by the enumerators but if your house is chosen, please, we ask of you that you answer the questions as truthfully as you can because the information you give, that will represent the island of Nevis and so your household participating, it becomes very relevant for us,” she said. The Statistics Department Director noted that during the survey, household’s consumption and expenditure will be measured and living conditions will be explored and she encouraged the householders to keep an accurate account. 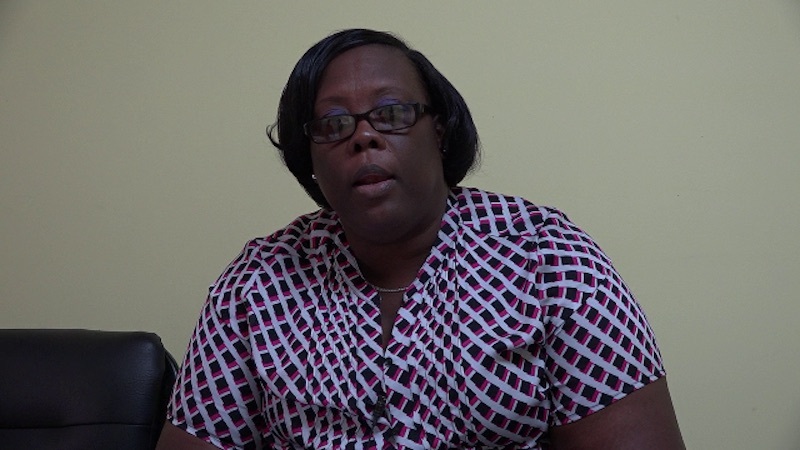 “Once you would have filled this diary and we at the Department of Statistics, are satisfied that it has been filled out correctly, we will then be giving the household a food voucher that can be redeemed at three supermarkets on Nevis,” Mrs. Tross-Phillip said. The objective of the comprehensive study will be used to assess the current conditions affecting the welfare of residents; identify the poor for better target interventions that aim to reduce or alleviate poverty; monitor and evaluate projects and policy interventions geared towards the poor and; evaluate the effectiveness of institutions that aim to help the poor. The CPA is made up of five components and the information gathered will be used by government to formulate new policies. It will also be used to measure the effectiveness of other policies and social programmes implemented based on the surveys conducted in 2007 and 2008. “It also helps the government to develop new policies to assist the persons and communities identified as poor or vulnerable, also to implementprogrammesand projects that will reduce the extent and severity of poverty and to enhance social development and improve the overall quality of life for all Nevisians,’’ the Statistics Department Director explained. Enumerators interviewing participants in each household, were required to take an Oath of Secrecy; and are trained and employed by the Department of Statistics. They can be identified by t-shirts bearing the Department’s logo as well as identification cards issued by the department.